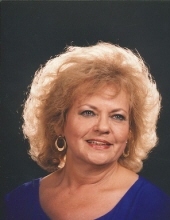 Renee Hardy Yarbrough-Navle, of Dunwoody, GA, peacefully passed away Friday, February 1, 2019. Renee was born in Thomaston, GA. A Celebration of life service will be held Saturday, February 9, 2019 at 2:00 p.m. at Kingswood United Methodist Church, Dunwoody, GA, with Rev. Charles Broome officiating. Renee was Past President of Miss Atlanta Pageant, Past Madam President at Fraternal Order of EaglesClub, Past S.E. Regional President, Past Georgia State President. A reception will follow after the service at the church. Renee was preceded in death by her husband, William F. Yarbrough, and her second husband Lee Navle. Renee is survived by her son, Bill Yarbrough and wife Dwana; daughter, Lisa Yarbrough; brother, Jimmy Hardy; sister, LaRose Herring; grandchildren, Adrienne Yarbrough, Kathryn Rush, Kristina Rush; great-grandchild, Gia Yarbrough. In lieu of flowers the family asks that donations be sent to “Past Madam President’s Club”, with memo showing “cancer fund”, P.O. Box 942014, Atlanta, GA, 31141. Online condolences may be expressed at www.crowellbrothers.com. Arrangements entrusted by Crowell Brothers Funeral Homes & Crematory, 5051 Peachtree Industrial Boulevard, Peachtree Corners, GA, 30092. 770-448-5757. To send flowers or a remembrance gift to the family of Renee Hardy Yarbrough-Navle, please visit our Tribute Store. "Email Address" would like to share the life celebration of Renee Hardy Yarbrough-Navle. Click on the "link" to go to share a favorite memory or leave a condolence message for the family.